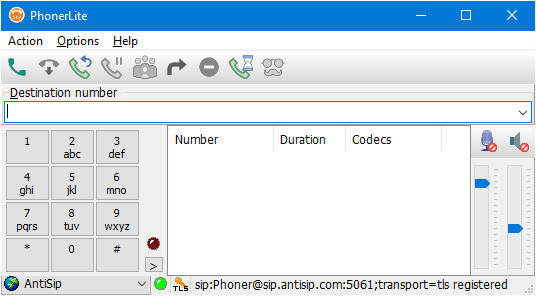 PhonerLite enables your PC to use it for internet telephony (VoIP , Voice over IP ). Pre-conditions are a full-duplex sound card , a microphone and speakers (alternativelya headset), an internet connection and a registration at a provider supporting the protocol SIP .PhonerLite supports several SIP profiles, each configurable independently. In thesame way the integrated phone book and call log are easy to use. I am here for the share this nice post here follow http://solitairetimes.com and getting the free solitaire games without download with all friends. Great aplication.Moved from X-lite a long time ago to PhomerLite and I'm glad I did it.Has everything that X-Lite has and supports several voip or sip services. Bottom Line: I am here for the share this nice post here follow http://solitairetimes.com and getting the free solitaire games without download with all friends.